The Waupaca area, along with the Chain O'Lakes, were long home to the Menominee Indian tribe. The Waupaca River's falls and the nearby lakes provided an abundance of water, vegetation and wildlife. For many years, the Menominee moved around the area as the seasons changed, traveling from their village, likely on Otter Lake, to local camping grounds. 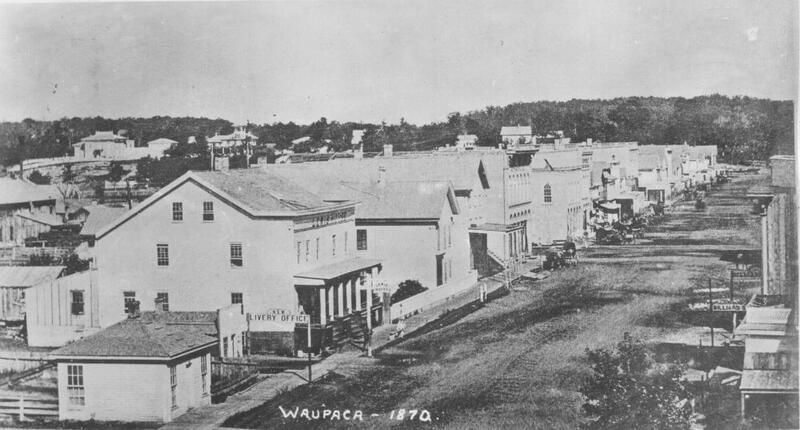 In 1848, a federal treaty relinquished the last of their lands, including Waupaca. In June 1849, the five men from Vermont claimed land along the Waupaca River at what is now the city of Waupaca. These early settlers came to Waupaca looking for the "The Falls" that they'd heard so much about. Eventually the settlement took its name from a Menominee word meaning, "the quality of the light, or morning light on the water." Waupaca steadily grew around the water, harnessing the power of the falls and welcoming many more settlers, including many Danish and Scandinavian immigrants. The Waupaca Historical Society, located in downtown Waupaca on Main Street, strives to preserve this rich history while educating and informing the public. Visit one of our four historic buildings today and let us help you discover Waupaca's past today! Thurs., May 16 at 6 p.m.
"From Cottages to Commandants: The History of the Wisconsin Veterans Home"